A Northampton based housebuilder is pursuing its aim to become more inclusive as a part of the construction industry by supporting its long-serving Site Managers through their retirement and allowing them to work part time. 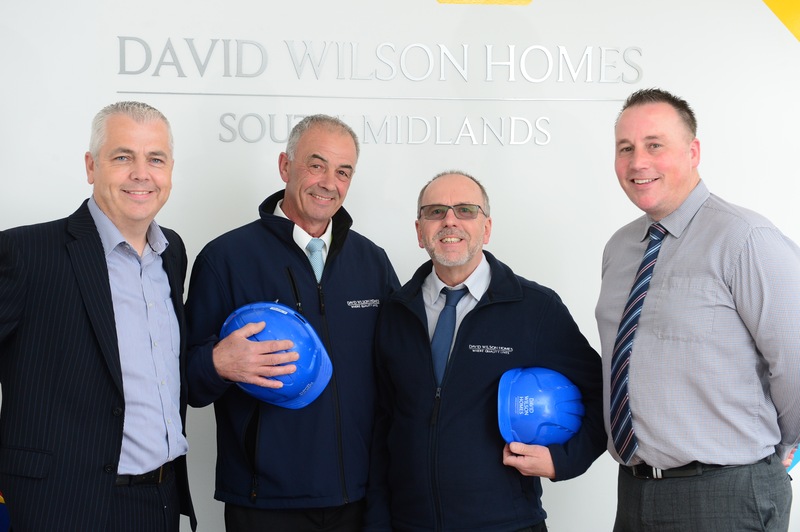 Stewart Chambers (66) and Geoff Stanton (62) are coming to the end of their careers as Site Managers for David Wilson Homes South Midlands and have decided to take on less hours in anticipation of their retirement. “Stewart and Geoff have been incredible members of the team over the past few years and are both an absolute asset to our division. “Implementing the two employee’s expertise and knowledge is invaluable to David Wilson Homes, in order to then pass this on to the next generation. David Wilson Homes is committed to ensuring its workforce reflects the communities where it operates and ultimately making the construction industry a more inclusive place to work. By investing in the development of employees like Stewart and Geoff, the homebuilder retains skilled workers who are supported and encouraged throughout their career choices. Stewart has been working on the Brooklands development for four years which is located in Milton Keynes, which has three, four and five bedroom homes available. “Brooklands has been a huge project to be a part of and the buildings reinforce the quality work and effort the staff at David Wilson Homes produce every day. “David Wilson Homes has been a great developer to work for, with wonderful staff who are experienced and encouraging. Geoff Stanton, a Site Manager from Towcester, has worked for the leading developer for 16 years, ever since he joined the construction industry. “Construction was an unknown territory to me when I changed job roles. The Site Manager works at The Wickets, located in Earls Barton. The development has four and five bedroom homes available and is now entering its third phase, which Geoff believes is a testament to the great work they are doing. “Once I handed in my notice, my line managers listened to what I wanted when I asked to work part time and I really felt my voice was heard. “I don’t think I will ever totally retire, I love being busy. The extra days off mean that I can enjoy more long weekends away and a social life. “They are a great reminder of how inclusion in our workplace allows employees to bring different skills, which benefits not only our customers but also our workers. David Wilson Homes is also building at the following developments in Northamptonshire: The Gateway at Priors Hall Park in Corby, Radstone Fields in Brackley, The Avenue in Overstone, The Nurseries in Thrapston and Loxton Fields in Dallington. In Buckinghamshire, the developer has homes available at Eagles’ Rest in Wavendon. For more information on any David Wilson Homes developments, please visit the website at www.dwh.co.uk or call the sales line on 033 3355 8486.